The most common complaint with any Motor Claim, is when you are not happy with the value the insurer has placed on your vehicle. So what we are going to do is talk you through the process that insurance companies go through to value your vehicle, and also your consumer rights. What we are also going to do is give you the tools to do the job yourself, guide you and advise you how to take it further , also how to utilise our services. Now that may sound a little odd, why don’t we advise you we will do the lot for you and charge a fee? Well the whole premise of what we do is put YOU the consumer first. There is no point in us taking on your case if we cannot get you a better settlement ,because you will not be getting value for money. The way we approach this is different than others…So we are going to go through a few things. WHY are you not happy with the value? Sentiment does not add value to your vehicle! People often do not accept that their vehicle is worth , what it’s worth. You paid twenty thousand last year, and now it worth fifteen? surely not..Vehicles de-value..From buying a new car, it looses 20% of it’s value as you drive it off the forecourt…That’s the VAT element it has lost..by the end of a year it can be 40%!!!! SO BE REALISTIC IN YOUR EXPECTATIONS!!!! The best way to be realistic is have a look in the market place, is there is a massive difference from what has been advised as to the market value? and what is for sale? If your vehicle is of a low value, you may get a little more from your insurer, but you would not benefit paying for us to negotiate for you, as we would charge more than you may get from the increase. If there is a big difference, you would benefit. Either way, we will advise you of the basics of what to do. In your contract of insurance it will state how they ascertain the market value of your vehicle. The general wording is along the lines of “the market value is one where you should be able to replace your vehicle for one of the same make,model , year and condition as to the one you have.” Always always check the wording…we cannot stress the importance enough, and how it can help us to help you! Now should you complain further about the value with the insurance company, you will be directed to the Financial Ombudsman Service. They guide insurance companies on how to value your vehicle. 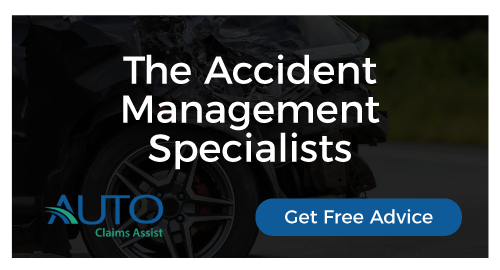 Because insurance companies are guided by the Financial Ombudsman Service (FOS).The FOS will advise your insurance company that they have to “TREAT CUSTOMERS FAIRLY” to do this, EVERY insurance company has to have a process they use to value your vehicle. They guide insurers to use the Motor Guides in the industry, which is VERY INTERESTING as it not what it says in your contract. So we will get to that further down. So, they use Guides that you do not have access too., that’s not very fair is it? well now you do! Confused yet?????? as that also takes into account the market research that it advises they cannot use. Click here for a value, which is the other guide the FOS advise insures to use, much more straightforward as there is just the one trade guide. click here for it the cost of this is £20. Then there is also parkers guide which is free click here please note it does not adjust for mileage, so we suggest you pay for a magazine from your newsagent and get it from there or pay online. THE QUESTIONS YOU MUST ASK YOUR INSURER! Firstly take the name of everyone you speak to! Ask them which guide they have used to value your vehicle? Ask them , have they used examples in the market place,if they say yes, make no comment and contact us immediately! Ask for a copy of the engineer’s report detailing how they have valued your vehicle,if they advise you cannot have it, advise them as part of your contract of insurance, inspecting your vehicle is part of the service you pay for! also under Data protection act, you have the right to see “ANY” information that relates to you.You have no issue with them blanking confidential rates and discounts , but they must release the engineers report to you. If they use the word “OFFER” make a note, offer intimates negotiation…so they have not valued your car properly , if the insurer is”treating customers fairly”, there should be a consistent process in place, regardless as to who does the valuation. NEGOTIATE! Do your research, make sure you are happy with what they offer, if not Contact us! IF you end up happy with what they advise, then thanks for reading ,and come back ,glad to have helped.If you want us to do it all for you,or you have a vehicle worth more than a thousand pound…then you WILL benefit from our services, we can run rings round them. What we have put above, even though it may appear lengthy, is only a small part of our knowledge that we could give, without boring you all senseless! If you want us to do it all for you we charge £350 plus 10% of any increase Obtained. We will even advise you prior to undertaking the service whether we think it is in your interest . The direction you take is dependent on your specific circumstances , you have two choices and the insurance company does not like you choosing either! Now you may notice , the FOS takes little notice of examples in the market place, yet your policy says “for the market value, you should be able to replace your vehicle with one of the same make, model year and condition”.So the insurance company and the FOS do not look at examples in the marketplace, even though that is what it states on your policy, and value it with guides you do not have access too. Isn’t that a little bit odd? The court views the situation differently, the court views the contract you have entered into with the insurer, and what is stipulated in that contract. Which is, that for the market value, you should be able to replace it for one of the same make, model ,year, condition and mileage. To do this, a judge would deem it “reasonable” that you would look in the market place to do this. So its very very important we deal with your complaint after this point,as of this year, should you not be happy with the FOS decision, you cannot now take to court. click here to read what the telegraph says. You can take further yourself, but we have to withhold our full methods to protect our business from competitors, and we cannot give the sensitive information away for free. The other option you can take is to go to court! We can do all this for you, the court see us as the expert, and even the FOS questions the impartiality of the insurance companies engineer. We can provide a full report for the court, and appear as a professional witness if needed.We cannot use the word Guarantee, as that would be miss selling, what we would say, We do not go to court to loose. Also , if your insurer has treated you unfairly, and they have had every opportunity to resolve prior to going to court, and have not, then they are liable for the charges. Also if they do not attend court, judgement gets entered in your favour, and they are liable for costs. We will offer you information for you to decide which direction is in your best interest, but it virtually never ends up being seen by the court. But you may guess the direction we prefer to take!